“If you could see a piece of celery that’s been magnified 10,000 times, you’d know what the scientists fighting foodborne pathogens are up against,” says Blaschek. Make sure you wash and scrub your produce very well before consumption! I do disagree with him on scrubbing. However, scrubbing will break up biofilm and break loose enough excessive bacteria in most cases to prevent you from getting ill. I would also recommend using an organic veggie/fruit cleaner, the acids will help eat through the biofilms and reduce the microbe colony forming units. So what are some supplements that can be used to break up biofilm formation or reduce its production if possible when needed? There are many different supplements that can damage this exopolysaccharide matrix and allow antimicrobial agents to eliminate the bacteria. Lactoferrin is a multifunctional transferrin protein that is one of the many components of an animal’s innate immune system. Lactoferrin exhibits strong antimicrobial activity and can easily be extracted from most mammals milk (supplemental lactoferrin is usually produced by from cows, goats, or sheep).17 Lactoferrin has strong antibacterial properties; it can destroy both opportunistic bacteria itself and disrupt biofilm. Colloidal silver should only be used as a last resort to reduce biofilm because it has to come in contact directly with the film itself and it is very broad spectrum. Therefore, silver does not discriminate between opportunistic and probiotic bacteria. Colloidal silver supplements work very on biofilms found in skin infections, direct contact when rubbed on the skin, and seem to help in people with severe upper gut dysbiosis. Silver that is ingested may not work very well, if at all, to break up systemic biofilm because it is poorly absorbed into the bloodstream. I would not recommend using colloidal silver nose sprays because metals (including zinc) have been found to damage the olfactory epithelium. Finally, colloidal silver should only be used for a short period of time (days or weeks) because of the substantial broad-spectrum effect (yet sometimes needed) it has on the microbiome. Supplements that I have recommended above were about breaking down and eliminating biofilm. Are there supplements that can keep it from being able to adhere so that it can be eliminated or not be able to be formed correctly in the first place? Yes, these supplements do exist and can help use fight dysbiosis. These supplements are limited in their use though because they have to come directly in contact with the organism or be used to prevent dysbiosis from occurring. If you believe, you have a UTI, get a bacterial culture done first before you use d-mannose, and if E. coli is the cause, take it. D-mannose should be safe to use for diabetics, very little of it is metabolized. Both of these supplements have limited use in combating biofilm, but can be a great help when needed. What About Royal Jelly Did I Hear Correctly It Can Help Against the Formation of Biofilms? A majority of our antibiotics are produced from chemicals that microorganisms produce to reduce other organisms rate of growth or outright eliminate them. We use these chemicals (antibiotics) to reduce the growth of opportunistic organisms in the hope that we can reduce or eliminate sepsis. Sometimes antibiotics are needed depending on the severity of the infection, and rather it is systemic or not. 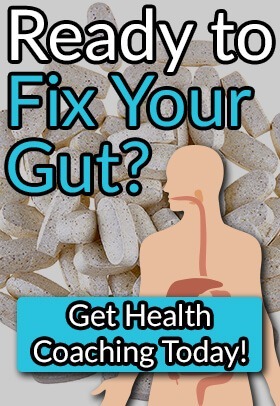 Do not get me wrong, here at Fix Your Gut we definitely believe antibiotics are overused, inappropriately used, and understand the issues that stem from both. They are however a necessary component of integrative medicine. You have to weigh the pros and the cons when it comes to using anything, natural or otherwise. What is the Relationship Between Cis-2-decenoic acid and Pseudomonas aeruginosa? You might be asking right about now, why would I want to have anything to do with a substance that Pseudomonas aeruginosa produces since it seems like a strong opportunistic bacteria? There is a reason that bacteria when it turns opportunistic can disrupt natural flora greatly and become dominant. One of those reasons might be its production of cis-2-decenoic acid. Cis-2-decenoic acid is a fatty acid produced by Psudomonas aeruginosa. All studies done with cis-2-decenoic acid are in-vitro. We do not know if the same benefits can occur if you ingest the fatty acid, but it may correlate to topical use and biofilm reduction. It may be possible that the ingestion or use of cis-2-decenoic acid may increase Pseudomonas aeruginosa survival or lead to an overgrowth. If you have a known overgrowth of the bacteria, I recommend not to use it. What is a Natural Supplement that Contains Cis-2-decenoic acid? A natural supplement containing cis-2-decenoic acid has not been developed yet. For a while it was reported that Royal Jelly contained it, even I reported that it did. 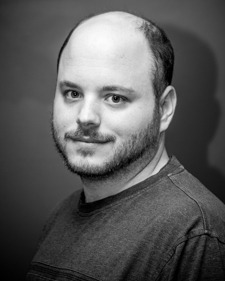 Research updates all the time and I apologize for the misinformation. More studies need to be done with cis-2-decenoic acid and see if its positive results can be replicated in-vivo and if it can be produced and stabilized to be given in the supplemental form. So for now, we can only theorize on the potential of using cis-2-decenoic acid to help improve our microbiome. 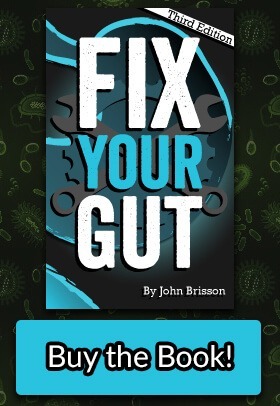 I recommend the use of anti-biofilm agents to tackle dysbiosis if you are having a difficult time in fixing your gut. If your anti-microbial supplement regiments have failed in the past, then adding anti-biofilm agents when you are dealing with yeast or bacteria that are known to form them may be beneficial. Each of the above anti-biofilm agents has their niche uses in your protocol to improve your digestive health. D-mannose, for example, might be used in people that know their urinary tract infection is caused by E. coli dysbiosis. Beneficial biofilm does exist, which protect probiotic bacteria and organs like your appendix. Therefore you want to use anti-biofilm agents only when necessary and only for the shortest time needed. Chronic sinus infection– runny nose, phlegm, etc. seems to be a hereditary problem in my dad’s side of the family, and now I have it. While it doesn’t seem to impact our longevity (my grandfather lived to be 96), it is a persistent and disturbing problem that I would like to reduce or eliminate. I’ve tried NAC and it did absolutely nothing about it. I’m going to try Interphase next and see if it works. Do you have any other suggestions? 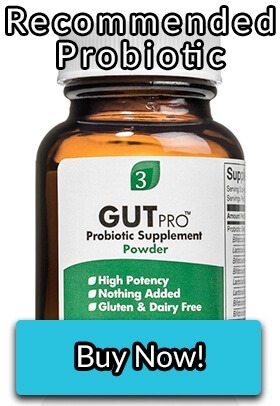 It would seem to me, based on my basic knowledge of microbiology, that those kind of supplements would not only impact the unwanted guys in your gut, but also the beneficial flora. What are your thoughts? what is EPS? It is not defined here. Hello, how do you recommend to use the biofilm disruptors? How often should they be switched? I’m now using Interfase for h.pylori but it’s definitely not my only issue so in the future I’m planning to try other disruptors, I just don’t know how long to use each. I have digestive issues and acne. Thank you! I had toxic shock syndrome (from staphylococcus aureus) in 2008 and developed SIBO about 2-3 years later. Do you think that the staph from toxic shock could have gotten into my digestive tract, resulting in SIBO? Generally bacteria from the vaginal area would not transfer over to the intestines without a fistula. Antibiotic use to treat the infection could have cause SIBO though by eliminating competition in your gut. i’ve heard lately that there are good bacteria (SBO’s) on produce that we shouldn’t be trying to wash off. There is also opportunistic bacteria, parasites, and pesticides on unwashed produce.